Where am I? 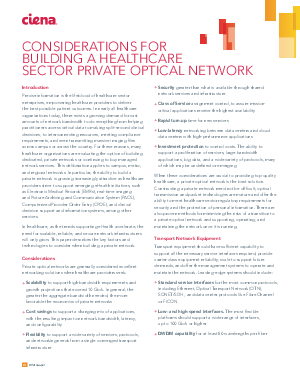 › Home > White Papers > Ciena > Considerations for Building a Healthcare Sector Private Optical Network. Computerized Provider Order Entry (CPOE), and clinical decision support and information systems, among other services.